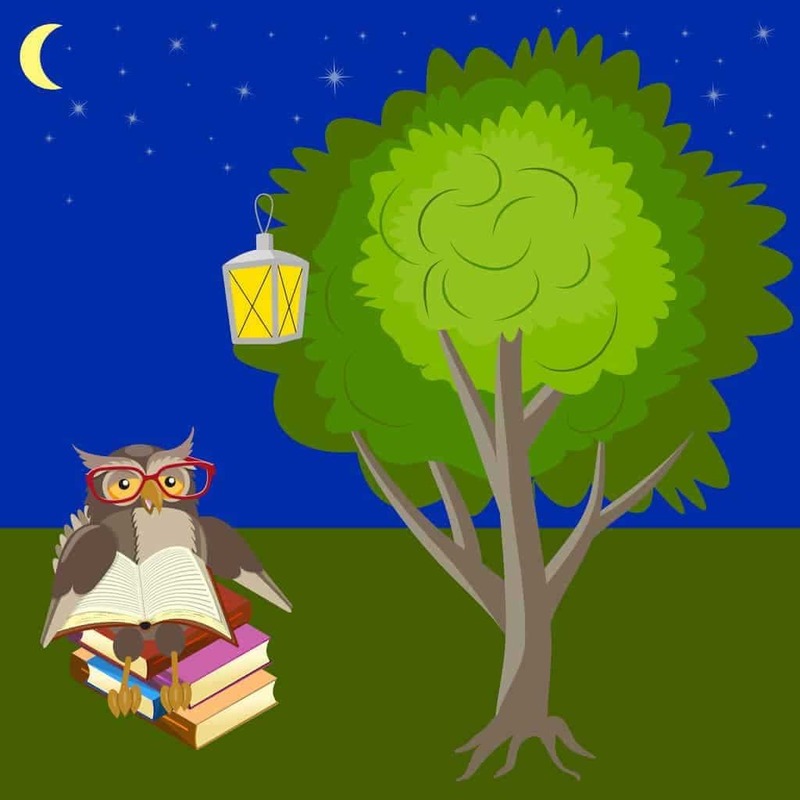 Nocturnal Animals Curriculum for preschoolers through second grade. We read “Owl Babies” by Martin Waddell and then we make owls. We use pinecones and then stretch cotton balls and glue them onto the pinecones (sometimes we have been lucky enough to find pastel yellow cotton balls). Then the children will usually glue on eyes, beak, and sometimes use twigs for feet. They look really cute! Raccoons wash their food, so at the water table, we place plastic food for the children to wash. Adding a cute raccoon mask made from paper adds a cute effect. cut a round moon out of yellow poster board. take a nature walk and have each child find a small branch. cut two slots and put twig through the moon. have children color an owl and glue on the branch. I hang these from the ceiling for decoration. science-laminate pictures of nocturnal and diurnal animals and have children sort them. group time activity-hold up pictures of different animals and see if children can guess whether the animal is nocturnal or diurnal. art-have children cut out pictures of nocturnal animals then use them later for a nocturnal animal collage. We made owl mask …then we held them up and the teacher states…I spy with my big eyes…something that is “blue”, long on 2 sides, short on 2 sides…what did I spy?…a blue rectangle… the child who guessed first is the next “I Spy” friend. We played many rounds of this game with lots of giggles going around the room! We played this game for Nighttime animals to “fly” and in the daytime to sleep…The children lay on the floor when I said Night time they jumped up and ran around the room “hooting” like owls. When I said “daytime” they went back to their trees to “sleep”. The children really had a great time playing this game. My classroom of toddlers and three’s loves animals. Every year I spend a week talking about animals that come out at night while we are sleeping. One of our favorite activities is a textured owl. This is a great sensory activity as well. We help the children cut out owl shapes and then set out bowls with glue, oatmeal, coffee grounds, black buttons and paint brushes. The children add the different textured material to their owl and let dry. We hang them up once they are dry, they look good and smell great too!